It’s all in the right Song. Chesney’s latest album includes his recent Country radio chart-topper “Get Along”, and it’ll easily top that genre-specific list next week. Will it have enough momentum to displace Drake‘s Scorpion at #1 on the Billboard 200? If Chesney’s release includes a ticket bundle, things could get close. Next week: look out for new albums from lovelytheband, Mac Miller and more. For Adam’s personal picks of the week, listen to the PGTC Friday Faves list on Spotify! The most Kelegendary release this week, to no one’s surprise, is the latest album from the original American Idol herself. The set is led by “Love So Soft”, which is approaching the top ten at Hot AC radio, while also ranking on the AC and Top 40 charts. Three of her studio albums have hit #1 since 2003, but the competition is tough this time, as you’ll see below. Still, it should have a nice opening week. Currently at #1 on the Active Rock list with their biggest hit in several years, “Rx (Medicate)”, the Canadian group just celebrated the 15th anniversary of their self-titled debut album. Their last two studio albums have peaked at #8 on the Billboard 200. Chesney’s double album is in the mix for #1, due in large part to a stadium tour bundle that allows buyers to get a physical album for every seat purchased online. His “All The Pretty Girls” recently topped the Country radio list. We’ll see you next week for new albums from Blake Shelton, Maroon 5, Sam Smith, Shawn Mendes and more. Listen to the PGTC Friday Faves list on Spotify! He’s been a presence on the Country chart for decades now, and his recent #1 with P!nk, “Setting The World On Fire”, could set a few other formats on fire, including a current run inside the top 25 on the Hot AC listing. To date, he’s had seven #1 albums on the Billboard 200, and it looks like an eighth may be on its way. Sydney’s dynamic duo of Luke Steele and Nick Littlemore scored a surprise Alternative radio smash in 2016 with “Walking On A Dream”, a single that was originally released in 2008. Remember the Honda commercial? Their current radio single, “High And Low”, is top 15 at the format. The Swedish singer is back with her second album, but the sophomore slump could be real with this set. “Cool Girl” barely made the top 40 at pop radio, and its international peaks are pretty low too. Can she turn things around? We’ll see you next week for new releases from Alicia Keys, Bon Jovi, The Chainsmokers and more. In our former reality show contestants roundup, and there are quite a few this week, look out for new releases from America’s Got Talent‘s Jackie Evancho and her latest, Awakening (iTunes), American Idol‘s Jennifer Hudson with JHUD (iTunes) and The Sing-Off‘s Pentatonix with PTX, Vol. III (iTunes). Hudson’s “It’s Your World”, with R. Kelly, is now a top 20 hit at Urban AC radio. Other releases out this week include: Aphex Twin‘s Syro (iTunes), Chad Lawson‘s The Chopin Variations (iTunes) Gary Clark Jr.‘s Gary Clark Jr. Live (iTunes), George Harrison‘s The Apple Years 1968-75 (iTunes), Joe Bonamossa‘s Different Shades Of Blue (iTunes), John Mellencamp‘s Plain Spoken (iTunes), Lee Ann Womack‘s The Way I’m Livin’ (iTunes), Lenny Kravitz‘s Strut (iTunes), Leonard Cohen‘s Popular Problems (iTunes), Luke James‘s Luke James (iTunes) and Tweedy‘s Sukierae (iTunes). It’s a crazy week as the labels prepare for their final shot at a GRAMMY nomination for acts with new albums like Blake Shelton, Colbie Caillat, Lady Antebellum, Prince and more. So many releases, so little time, but a full preview is coming in seven! Can Lady Antebellum take advantage of a Golden opportunity and score another #1 album next week or will the Pistol Annies or Rod Stewart get there first? A preview is coming in seven! The Dogg days aren’t over yet. Born in Oklahoma, Shelton’s racked up 12 number-one hits on the Country chart since his debut single, “Austin”, in 2001. He’s also a judge on NBC’s hit reality series The Voice. Shelton’s won plenty of Academy of Country Music and Country Music Association Awards, and though he had three GRAMMY nominations last year, he lost all of them. This year, he’s up for Best Country Solo Performance for his #1 single, “Over”. I don’t think this is going to be one to do it for him, but he’s on such a hit streak now that a win can’t be far behind. Besides, his wife, Miranda Lambert, won a GRAMMY Award two years ago. He has to catch up while he still can! Hard to believe that it was 2003 when Dierks Bentley scored a #1 single on the Country Chart with his first record, “What Was I Thinkin'”. Bentley’s had nine nominations over four different ceremonies, all in various Country categories, but he’s hasn’t picked up one single Award. Bentley has one nomination this year, his tenth, for Best Country Solo Performance for the #1 hit, “Home”. That one is a pretty strong contender and could be the one to break his losing streak. Bentley will be performing with Miranda Lambert on the live broadcast (perhaps a sign of a win?) and they’ll be in tour together this year. Singer-songwriter DeGraw signed to J Records and put his first album, Chariot, in 2003. He’s best known for his 2004 single “I Don’t Want To Be”, which went to #10 on the Hot 100 and #1 at CHR radio. The guy has a solid fan base, but he’s never been nominated for a GRAMMY Award. Though his album sales have diminished over the year, his leadoff singles still chart decently on the national charts, so perhaps he’ll be due for a nomination in a lesser category sometime in the future. With a new single “Rebel Beat” picking up some airplay gains in the last few weeks, the band out of Buffalo is looking for another winner as they enter their nineteenth year on the charts. The Dolls have been nominated for four GRAMMY Awards, including Record and Song Of The Year for their 1998 hit, “Iris”, but the band lost all four and haven’t been nominated since 2000. However, they’ve still managed to release several top ten albums and a handful of Hot 100 entries since then. Clearly past their peak, they won’t likely receive any more nominations in the future, but they’ll still get some airplay here and there even if it’s not as impacting as their 90’s material. She’s an actress, a dancer, a singer, and a television personality and she’s excelled in all of those departments. When it comes to Awards, however, she sometimes falls a little bit short. Case in point: the GRAMMY Awards. Lopez has been nominated just twice even though she’s been on the charts since 1999, and both came in the field of Best Dance Recording. In 2000, it was “Waiting For Tonight”, and in 2001, it was “Let’s Get Loud”, both from her On The 6 album. None of her new material from last year received a nomination at the upcoming ceremony. With more music in the works for this year, Lopez should eventually get something. It’s just a matter of what the competition looks like. He’s been on the Country Chart cranking out top ten hits for nearly twenty years and he still hasn’t won a GRAMMY. Huh? He scored his first big single in 1995, but Chesney wasn’t even nominated for his first Award until 2005, and all four of his nominations have been limited to collaborations with other performers. His most recent, last year, was “You And Tequila” with Grace Potter. He isn’t up for anything this year. I’m sure that doesn’t bother him one bit, though. Someday, he might announce his retirement and only then will he win a GRAMMY. Yes, it’s bothersome, but the Academy will do what they do. This quartet turned trio turned quartet again made their chart debut in 2001 with the mega-hit “Hanging By A Moment”, but the Academy left them hanging when the song couldn’t propel them to a Best New Artist nomination at the 2002 Awards. In fact, they’ve never received a single nomination to date, which is surprising considering that they’re six albums deep into their career. Their latest release, Almería, came out in December, though lead single “Between The Raindrops” with Natasha Bedingfield hasn’t seen much attention. Will they ever take home a coveted prize? It’s looking less likely as time goes on. It was back in 2004 that a then 23-year-old Pitbull hit the scene with “Culo”, which sampled the Coolie Dance riddim which about a thousand different acts used around that time. (Nina Sky‘s “Move Ya Body” was the biggest, hitting #4 on the Hot 100.) The rapper’s developed a big following at popular radio since 2009 with big songs like “Give Me Everything” with Afrojack, Nayer and Ne-Yo. He’s been nominated at the Latin GRAMMY Awards in two categories, though he lost both of them. I can’t ever see him being nominated for Album or Song Of The Year, but you’d think he would’ve at least been nominated for Best Rap/Sung Collaboration at least once by now. I guess it just proves that it’s a dog eat dog world. Now, this one is a head-scratcher. How the heck does Snoop Dogg not have a GRAMMY Award? 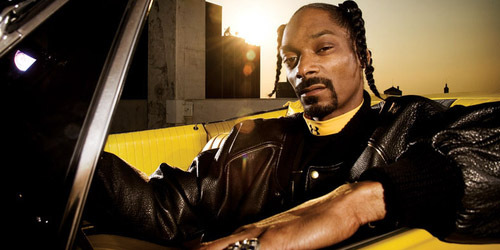 The Doggfather has been nominated fourteen times since 1994 on both featured and main credit singles, but nothing has been able to win the Award. Twelve of those nominations were in rap categories, with the most recent two of the fourteen being for a guest appearance on Katy Perry‘s hit, “California Gurls”. He’s up for a fifteenth nomination at this year’s awards for Best Rap Song on “Young, Wild, and Free” with rapper Wiz Khalifa and singer Bruno Mars. Could this finally give the guy his long-awaited recognition by the Academy? Don’t count on it, but hey, it would be a nice surprise if it happened. Brandon Flowers and the boys have been on the scene since 2004 with several big albums in a row and hit singles like “Human” and “Mr. Brightside”. Between 2005-2007, the quartet received seven nominations in genre-specific categories (four singles, one album), though nothing managed to pick up an Award. Flowers also put out a solo album that didn’t garner any nominations. Last year, the band released Battle Born, which hasn’t done particularly well commercially, so it’s no surprise that the Academy snubbed them for another year. Their material won’t be recognized for any of the big categories, but I think they’re bound to win a lesser category if they keep putting out the great material. Are there any performers that you think should be highlighted? Let me know in the comments or on Twitter: @AdamFSoybel. Stay tuned for more GRAMMY posts as the week continues! It’s all in the Mix. They hit the top ten with “Tonight Tonight”, and now Hot Chelle Rae returns with an equally catchy ditty called “Hung Up”. It goes for adds on February 12, along with newcomer Icona Pop with “I Love It”, featuring Charli XCX, actress and singer Kat Graham‘s “Wanna Say” and Ne-Yo‘s “Forever Now”, which is already in the top 50. It’s the follow-up to “Let Me Love You”, which recently hit #4. Look for it to become at least a mid-charting song at the format. “Now” also gets a Rhythm release the same week. The other newcomer is Youngblood Hawke, a quintet out of California with a former top ten hit on Alternative radio, “We Come Running”. You’ve probably been hearing the song all over the advertisements for American Idol. It’s sent for adds on February 26. The “House” that built him. The aforementioned Youngblood Hawke record goes for adds at the Hot AC format on February 5, in addition to “Troublemaker” by Olly Murs. The former #1 single in the United Kingdom is currently top 30 on the CHR format. 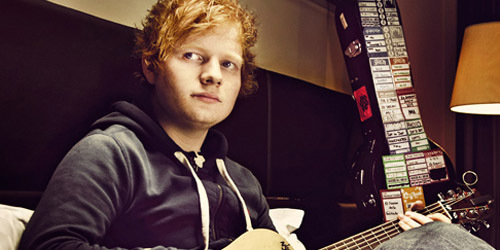 Following up his recent top ten hit, “The A Team”, Ed Sheeran is looking to score another big chart hit with “Lego House”. “House” is the second single in the States (bypassing “You Need Me, I Don’t Need You”) and is sent for radio adds on February 12. Since we just celebrated the 55th anniversary of Lego patent, perhaps that give the song a little extra luck on the airplay survey. The song’s already gone top 5 in countries like Australia, Ireland, New Zealand and the United Kingdom. Whitney Wolanin‘s new single, “Wrong Guy (I Did It This Time)”, also goes to Adult Contemporary radio that week. She recently had a seasonal hit with a remixed version of the standard “Frosty The Snowman”. Newcomer Jillette Johnson is opening up for Kris Allen on his latest tour. Her first radio single, “Torpedo”, goes for adds on February 26. 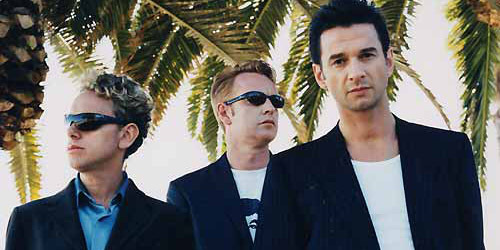 Four years after their last release, Sounds Of The Universe, Depeche Mode returns with a new album on March 26 called Delta Machine. Lead single “Heaven” goes for Alternative and AAA adds on February 5. It’s a change of pace for the band, especially after their last leadoff single, “Wrong”, which peaked at #12 on Alternative radio, their biggest hit since 2001. Will this one hit the top ten? It would be their first since 1997 if it indeed happened. The new one from the Dropkick Murphys also goes for Alternative adds that week, appropriately titled “The Boys Are Back”. It’s just below the top 40 pre-impact. Seven songs go for Alternative adds on February 12, three by bands that have previously charted at the format. ∆, otherwise known as Alt-J, follow-up their recent top-30 hit, “Fitzpleasure”, with “Breezeblocks”. The song went to #75 on the U.K. Singles Chart last year. Proving that we apparently have the time to listen to them whine, another song from Green Day‘s three-part album series also goes for adds on the same date. “X-Kid” is the first radio single from the third part of the saga, ¡Tré!. There’s a new one from Soundgarden as well, “By Crooked Steps”. It’s the second single from King Animal, which was released late last year. Add in singles by newcomers like France’s C2C and South Africa’s The Parlotones and you have a whole mess of a week. Expect a whole bunch of under-performers out of this group, but perhaps one of the newer acts can manage to go as high as the top ten. The week after that is the last significant one for Alternative-based singles this month. February 19 sees the return of the California-based band Cold War Kids with “Miracle Mile”, looking to be their fifth top-40 hit at the format. Their first one, “Hang Me Up To Dry”, peaked at #26 in 2007. It’s also going to AAA radio. The only other act on that impact date is newcomers The Stick People, another band out of California who release “Think About That” to radio, their first commercial release. For AAA-exclusive releases, notable ones include the return of Boz Scaggs with “Mixed Up Shook Up Girl” on February 4, the most recent American Idol winner Phillip Phillips with “Gone, Gone, Gone” on February 11, Dido‘s “No Freedom” on February 18 (same date as AC and Hot AC), and singer-songwriter Matt Hires with his new one “Restless Heart” on February 25. Phillips recently hit #1 on the AAA chart with “Home”. Hires previously made the top 50 on the Hot AC format in 2011 with “Honey, Let Me Sing You A Song”. I enjoy both of these new releases better than the older singles. A pirate looks at forty-four. If you’re a fan of Kenny Chesney, you’ll be happy to know that his new single is at radio now and goes to iTunes next week, February 5. “Pirate Flag” is the leadoff single from his forthcoming album, Life On A Rock, out on April 30. Sounds like it might be one of his more island-themed singles. Also going to radio that week: newcomer Joel Crouse with his “epic” debut single, “If You Want Some”, on Show-Dog Universal, and “Carolina” by Parmalee on Stoney Creek. The group named after the hometown of Parmalee, North Carolina recently hit the top 40 in airplay with their debut single, “Musta Had A Good Time”. Jake Owen‘s had three consecutive number-one hits on Country radio from his 2011 release, Barefoot Blue Jean Night. He looks to make it four with “Anywhere With You”, which goes for adds on February 12 along with “Fill In The Blank” by Greg Bates. Bates is a relative newcomer to the chart having just scored a top ten with his debut single, “Did It For The Girl”. Three ladies who have yet to score a big hit on the Country chart will be battling it out on the 19th. Canadian Jaida Dreyer is jockeying for position with “Half Broke Horses”, her third single at the format. Both of her previous attempts peaked in the mid-50’s, but she looks to ride this one into the big races this time around. Her debut album, I Am Jaida Dreyer, is released at the end of February. Kristen Kelly follows her minor top-40 entry “Ex-Old Man” with “He Loves To Make Me Cry”. Third and last, new singer Rachel Farley releases “Ain’t Easy”. Rounding out the month is the third single by Tyler Farr, “Redneck Crazy”. His previous singles, “Hot Mess” and “Hello Goodbye”, just missed the top 40. We’ll see if third time is the charm for Farr as his song gets sent to radio on February 26. That’s it for this month’s Radio Report. See you in March for some more springtime single madness.